4k00:09Decorated christmas tree with colorful balls and gifts. 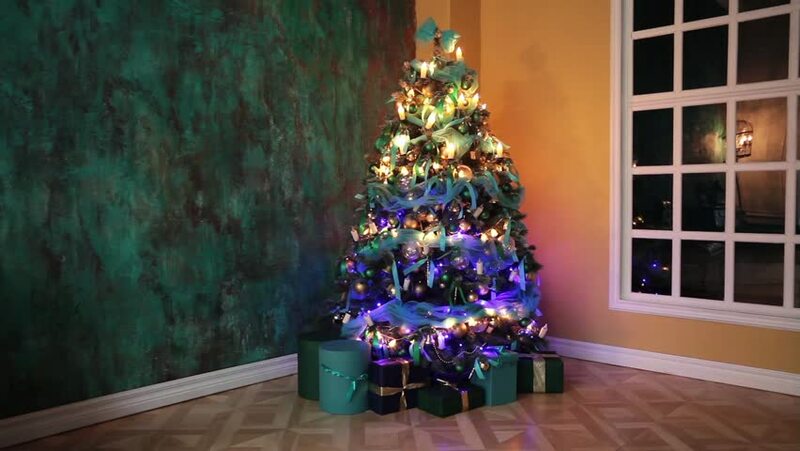 Christmas and New Year decorated interior room with presents and New year tree. 4K video.